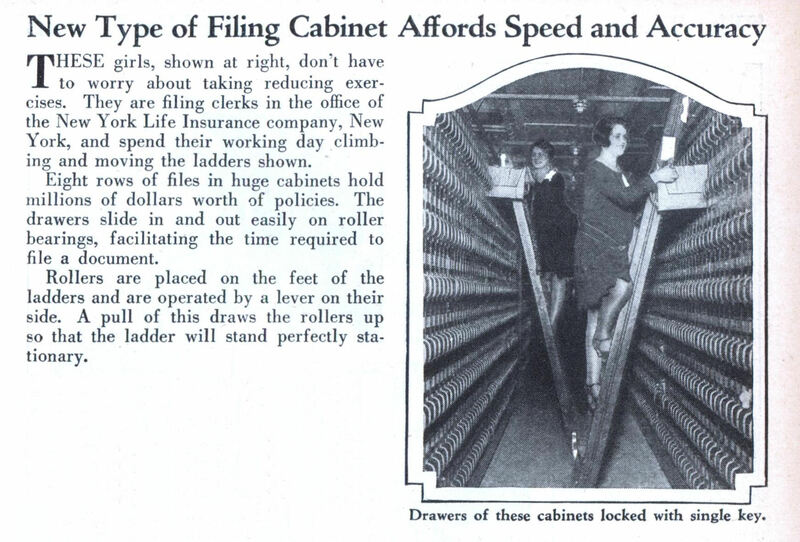 Eight rows of files in huge cabinets hold millions of dollars worth of policies. The drawers slide in and out easily on roller bearings, facilitating the time required to file a document. Rollers are placed on the feet of the ladders and are operated by a lever on their side. A pull of this draws the rollers up so that the ladder will stand perfectly stationary.